Game recaps, plus the latest on Braden Holtby, Ryan Kesler, Chris Kreider and more in today’s NHL morning coffee headlines. NHL.COM: The Minnesota Wild regained hold of the final Western Conference wild-card berth by edging the Washington Capitals 2-1. Luke Kunin broke a 1-1 tie with the winning goal in the third period for the Wild (79 points), who hold a one-point lead over the Colorado Avalanche and Arizona Coyotes. The Capitals played without defenseman Michal Kempny, who is sidelined indefinitely with a leg injury. Speaking of the Capitals, goaltender Braden Holtby said he will respectfully decline the invitation to the White House on Monday to celebrate the club’s Stanley Cup championship. “It’s one of those things that we have to think about, but with me, I’ve got to stay true to my values, and I’m going respectfully decline the offer,” Holtby said. Brett Connolly and Devante Smith-Pelly have also declined the invitation. 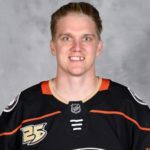 Jakob Silfverberg’s overtime goal gave the Anaheim Ducks a 4-3 victory over the San Jose Sharks. Rickard Rakell scored twice for the Ducks, as he and Silfverberg each collected three points. The Sharks (95 points) sit four behind the Calgary Flames for first place in the Pacific Division and the overall Western Conference standings. Earlier in the day, Ducks general manager Bob Murray gave updates on forwards Ryan Kesler (hip) and Patrick Eaves (post-viral syndrome), indicating both players could be done for the season. TAMPA BAY TIMES: The NHL’s department of player safety suspected Lightning forward Yanni Gourde two games for a hit to the head of Carolina Hurricanes center Jordan Staal. EDMONTON JOURNAL: Turns out Oilers winger Tobias Rieder wasn’t okay with being singled out by team CEO Bob Nicholson for the club’s woes this season, despite Nicholson subsequently saying he and Rieder later laughed it off. “I think it’s kind of disappointing and I’m offended by it,” said Rieder, who added Nicholson spoke with him again and he’s accepted the CEO’s apology. Rieder said he wants to put this behind him and move on. SPECTOR’S NOTE: Rieder will be moving on all right. He’s a restricted free agent but Nicholson said the club won’t re-sign him. Rieder has the support of his teammates, who credit him for his hard work despite his offensive struggles this season. NEW YORK POST: Rangers winger Chris Kreider is listed as day-to-day with a lower-body injury. SPECTOR’S NOTE: In other words, there’s no risk of Binnington hitting the UFA market if he and the Blues fail to agree to a new contract by July 1. He’s a restricted free agent with arbitration rights. While he could sign an offer sheet from a rival club, there’s a low probability of that happening. If he or the Blues file for arbitration he’d be ineligible to receive an offer sheet. TSN: Friday was another busy media day for Ottawa Senators owner Eugene Melnyk. He called out his management for doing “a terrible job” in explaining the club’s rebuild plan to the fans, criticized Ottawa mayor Jim Watson for suggesting Melnyk was difficult to work with after negotiations for a new arena at LeBreton Flats fell through, and trolled the Toronto Maple Leafs rebuild by claiming they forgot about defense. SPECTOR’S NOTE: If the Senators did a “terrible job” explaining their rebuilding plan, the responsibility lies at the top with Melnyk. He claimed he kept his mouth shut regarding Watson and in the same breath claimed Watson was lucky he did so while saying the mayor’s comments were counterproductive. That’s hardly going to win Melnyk any support among Senators fans or local voters. Melnyk didn’t call out the Leafs by name but everyone knew who he was referring to with his remarks about a team that’s been patching up its roster “for 53 years.” While he has a point about the Leafs defense, he’s not in the best position to criticize a provincial rival that’s sitting 37 points ahead of his club in the standings. What appears to be fake Twitter accounts claiming to be Senators fans supporting Melnyk also popped up on Friday. So yeah, kind of a weird day for the Senators. SPECTOR’S NOTE: The club’s recent struggles and the absence of several injured players probably have folks looking too closely at Babcock’s remarks for signs of dissatisfaction with management. THE ATHLETIC (subscription required): Craig Custance with the story of how The Internet Hockey Database aka HockeyDB.com came into being and how it’s become the most reliable source for statistical information among fans and pundits. SPECTOR’S NOTE: I discovered HockeyDB 20 years ago and it remains among my most invaluable research tools. I highly recommend it.